It's always reassuring to find something that is blatant and in your face about being black metal as Cultus Profano. 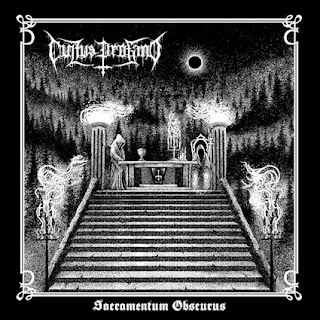 Their latest offering, Sacramentum Obscurus, due out on Demeur Morti records, is the exactly sort of thing that made us all fall in love with black metal in the first place. As much as this record can feel ab it over the top and pretentious I would be lying if I said that this sort of thing doesn't have a very real appeal to me. There is something incredibly potent about a band playing black metal in the grand old style. There is a certain bombast to Sacramentum Obscurus that serves to make it especially delectable. It's the sort of record that is fully aware of just how balls deep it gets and how much it subscribes to the traditional ideas that make black metal so special. That being said, songs like Forging A Covenant and Awakening the Strzyga remind us that not only is black metal transcendent and beautiful, but also that black metal is a war. This is a band who understand the sheer sense of rebellion that you need to push for if you want to get somewhere significant. It's a band who understand the burning fight of black metal nihilism and why we are so invested in it. The sheer bleakness of this release might alienate some listeners, but for those of us who have always stayed true and whom have always loved this kind of music it's simply going to feel natural. 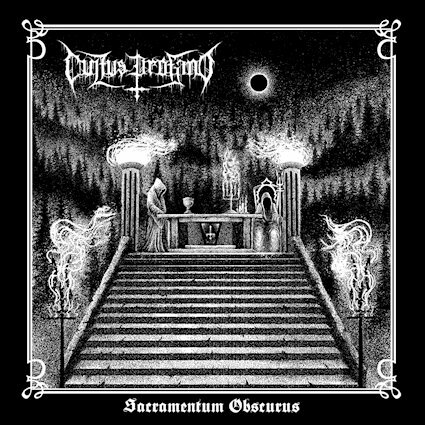 Cultus Profano are giving black metal die hards exactly what they want. They are giving them the blasphemous and triumphant sonic treachery that scared are parents and won our hearts. While this may be an album that doesn't especially stick out in the canon, it's certainly one you might fall in love with.